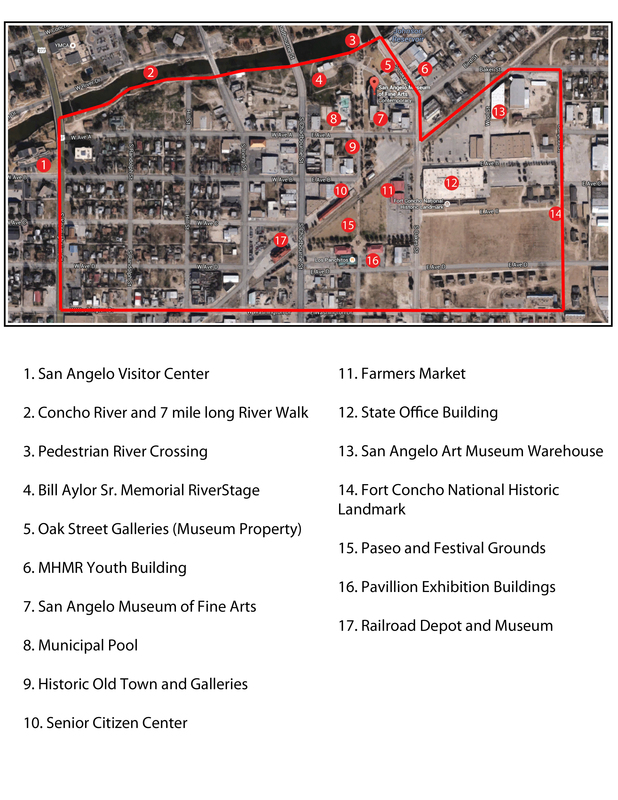 The mission of the San Angelo Cultural District is to create a long-term vision and plan for an approximate two hundred acre area of San Angelo that encompasses Fort Concho National Historic Landmark, the San Angelo Museum of Fine Arts and a dozen other cultural and non-profit agencies, approximately three hundred residents, a dozen manufacturing entities and an equal number of retail businesses and the city’s Visitor Center. The plan will emphasize historic preservation, beautification, way-finding, transportation connections, neighborhood improvement, the creation of new cultural facilities and businesses and economic development and job opportunities. The plan will emphasize coordination and input from all stake holders and thoughtful management and marketing with the intent to increase the livability and economic well-being of the entire Concho Valley.